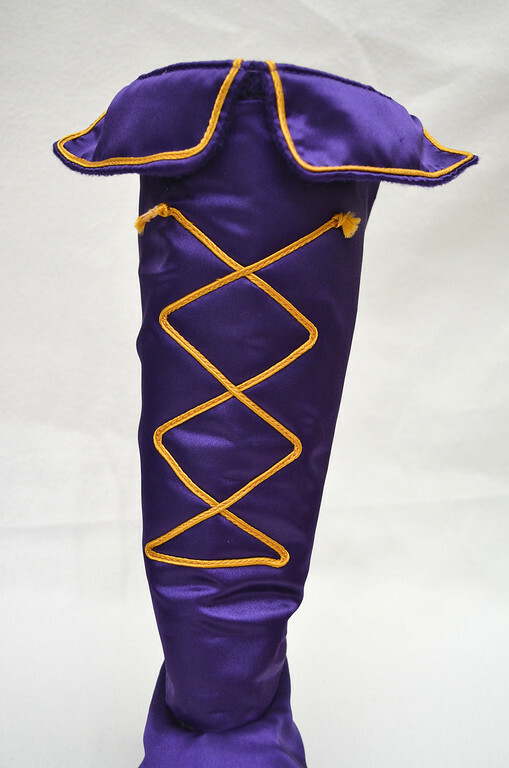 Some of you asked how I made the girls' musketeer boots, so this is the how-to post. 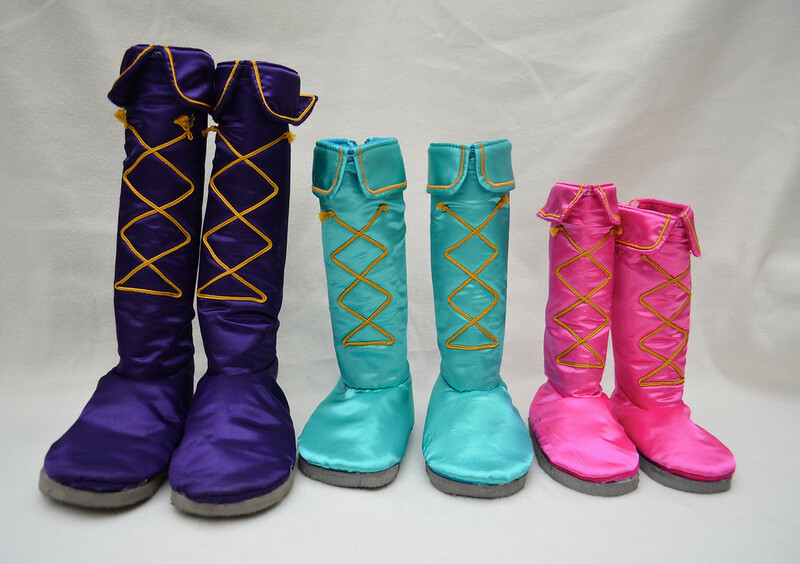 They are actual boots, not boot-covers, and they were made to fit each girl. I began by tracing around their feet to make the sole pattern. I also used my old ballet slipper patterns, much adjusted in both shape and size, because my kids' feet have since grown, for the vamps. Here is a paper muslin. only a rounded and roomy toe portion. 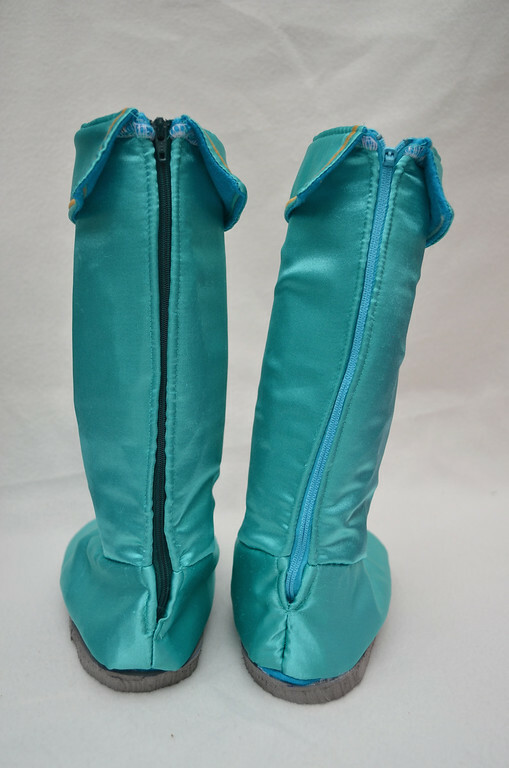 The boots have a back zipper, so the kids can put them on and take them off by themselves. They are dress-up clothes, not merely costumes, remember - so they needed to be kid-friendly. I thought you'd enjoy this picture of unmatching zippers - I used whatever I could find in my stash so I wouldn't have to go out to the fabric store yet again. Here is the link to the pattern pieces, which you can print out in three sizes, along with an instruction sheet. In addition to that, I'll just share extra photos and notes. 1 The patterns are in three sizes - I have included the age of the wearer and her approximate shoe size on each page, for your reference. 2 The patterns are somewhat rough. In other words, if the seams don't line up perfectly and you have to trim sticky-out bits off, that's how they are. I didn't take the time to refine the patterns - these were my first drafts, and I refined and shaped the fit on the girls' legs and feet as I assembled the boot. Don't worry - these are pretty decent patterns and they will work, and the boots will fit; just don't expect them to be like commercial patterns that have been digitally refined. 3 The templates have NO SEAM ALLOWANCES. Please add your own. 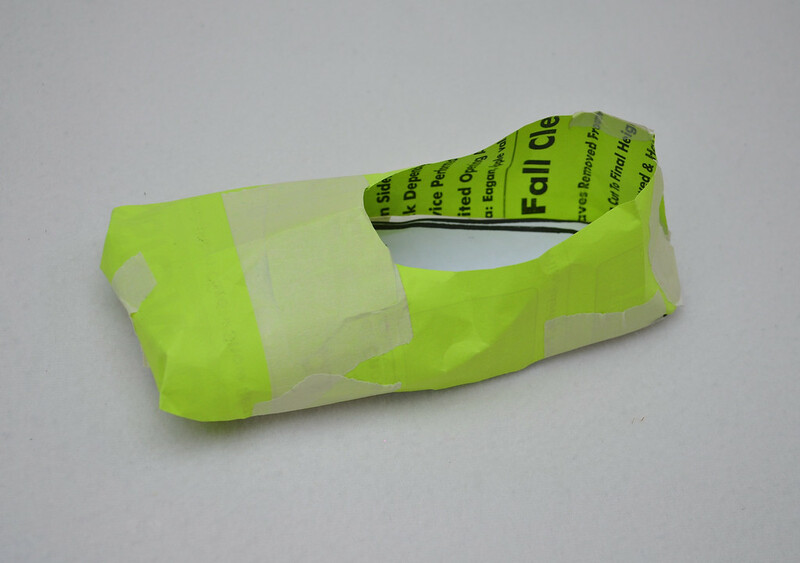 6 There is an instruction sheet that tells you how to turn the pattern into the actual boot. Obviously the number of pieces shown is for ONE boot. You repeat the same thing for the second boot, but remember to cut the sole in mirror image so you don't end up with two left feet. Ha! Rubber mat (the kind that locks together in pieces for children's floor playmats). Mine was 1/2" and I bought my 2'x2' square for under $4 here because they let me buy just one piece. You can also get them from Walmart and Home Depot, I've heard. Whether you'd have to buy a whole set of six or just one piece, I don't know. 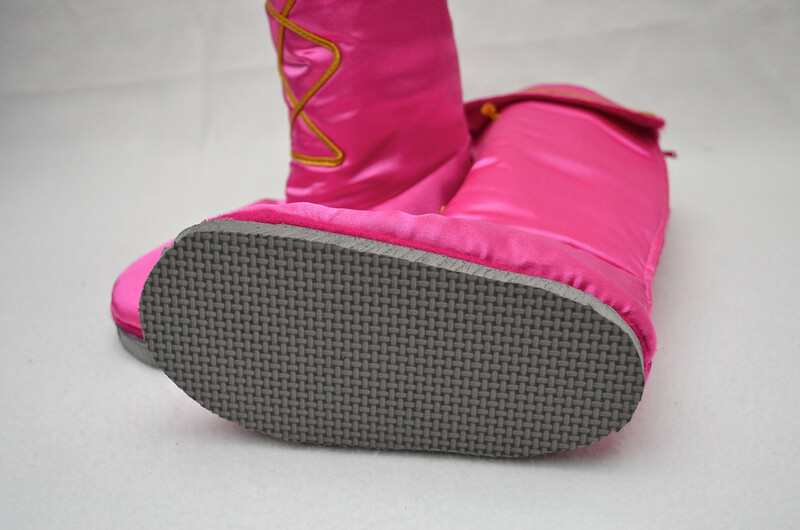 I hot-glued my rubber soles onto the felt sole of the boot, but you could also use something more footwear-specific, like Shoe Goo. Here is where I got the idea for the soles. 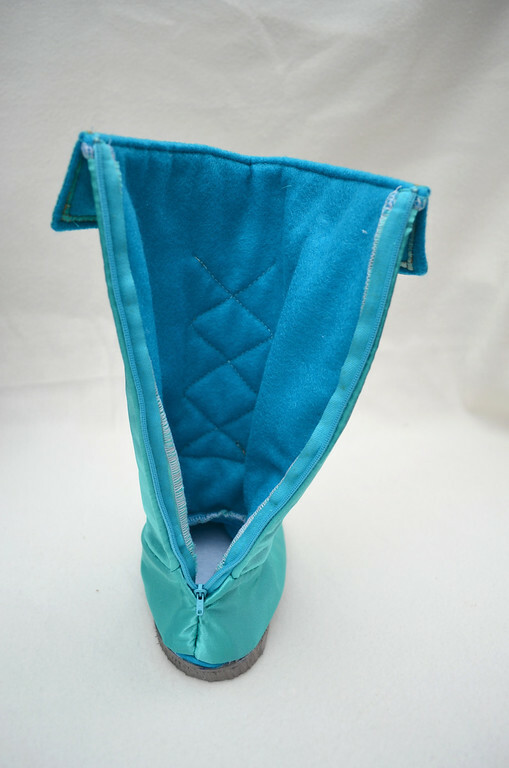 Zippers - one for each boot; they should be longer than the opening, and the opening should extend through the entire shaft and about 1" into the vamp. 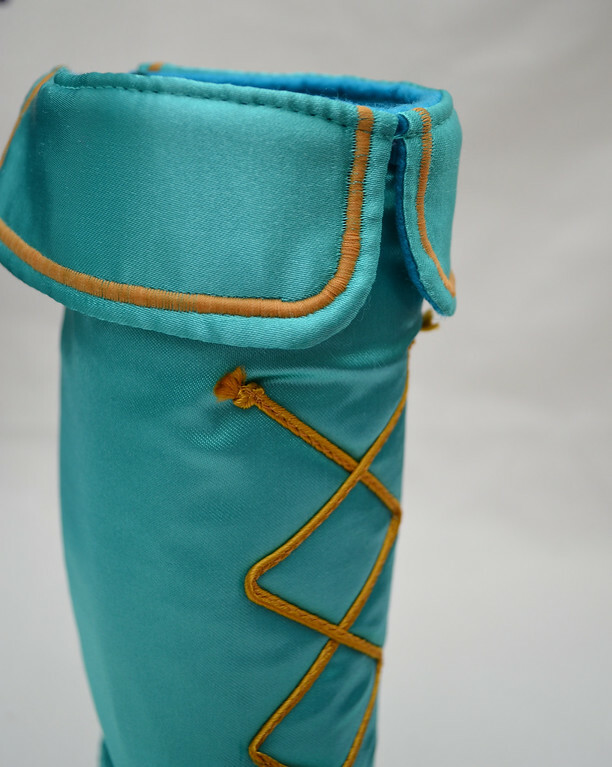 8 Apart from the cuffs, which are just outer-fabric-and-lining, each piece of the boot (shaft, sole, vamp) is first made into a 3- or 4-layer sandwich (just sew close to the edge all around, securing all 3 or 4 layers together) with the right sides of the outer fabric (i.e. the satin) and the lining (i.e. the felt) facing out, the way it will look when it is finished. 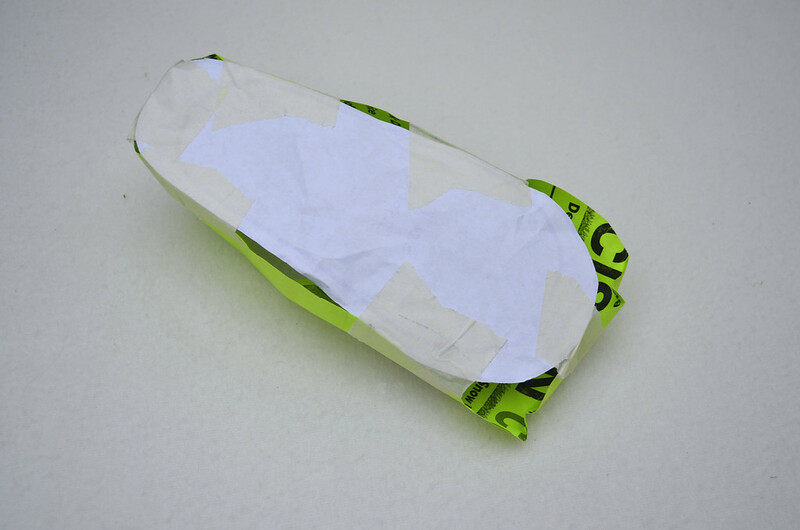 Then these puffy sandwich pieces are connected together to make the boot, and all the raw edges and seam allowances will be on the inside of the boot. This is not the most elegant way to make a lined shoe, but I was working with a rough pattern and shaping the fit as I went, and attaching a zipper to the narrow cylindrical shaft and I didn't want to have a separate lining layer to fight with. The embellishment on these boots was mostly a gold cord for the boot laces and boot cuffs. 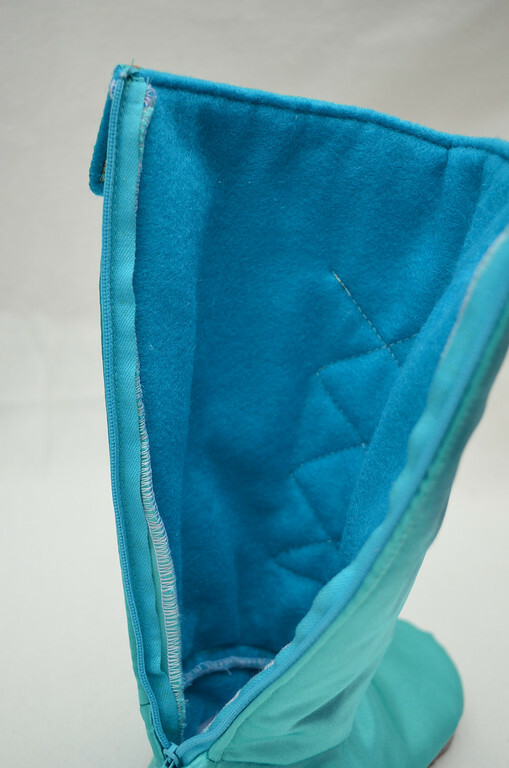 I ran out of this cord for Jenna's boots, so I satin-stiched a line of trim on the boot cuffs instead. Slower, but it worked. 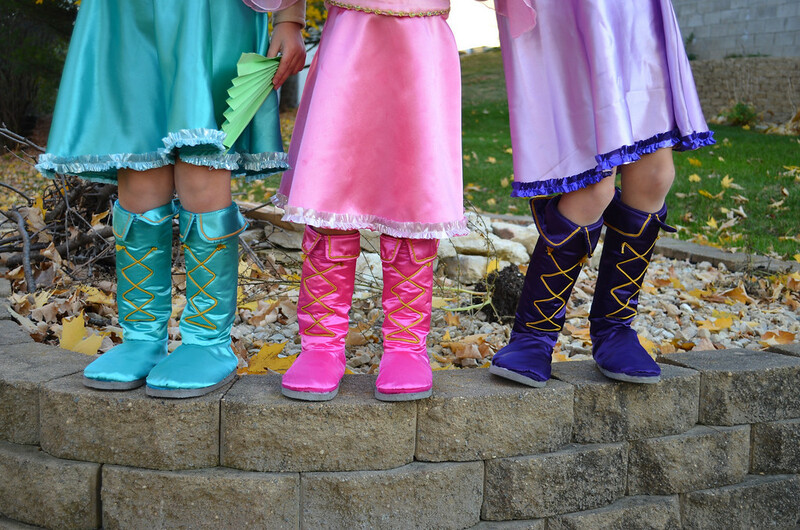 So three pairs of dress-up boots to wear indoors and out. Emily wore hers at her school's costume parade, but I didn't finish Jenna's and Kate's till the day after Halloween. Now to process the very colorful photos of Jenna's party so I can share them with you! You are astonishing. What fantastic boots. Ilove them so much. You're still amazing me, girl! wow! thanks for sharing this, my daughter was seated on my lap as i was viewing this and said please please hold it, i want to see them and after a couple of minutes said, amma can you make these for them! Thank you so much, I will make some for my girls, they are just brilliant. Your girls must be the luckiest girls on the planet to have you as their Mum! These costumes are amazing! These boots are made for walking....and lots of other great fun times. Thanks so much for the pattern and detailed instructions. Absolutely amazing. With 3 granddaughters, I just might have to try this! These are so great! Thanks for the instructions - the mat for the sole is brilliant. Wowzers, great tutorial! I bought some pleather scraps to make belts for the kids' Halloween costumes this year, and I think I might have enough to piece together boots too... maybe not tall ones for my little girl, but probably some for the Jedi knight. Making those would definitely kill me :) But they are great! Samantha, that's a great idea! It never crossed my mind! We probably got (or will get) about 8-9 pairs of soles out of that $4 sheet of foam but I was thinking just this October, that when that piece of foam is finally used up, I'd have to go buy another piece of foam. Now I think I'll just go shopping in the flip-flop aisles of JoAnn, or the dollar store, as you suggested. That way I might even get coordinating-colored soles instead of grey every year. Thank you so much! Thanks for sharing this! 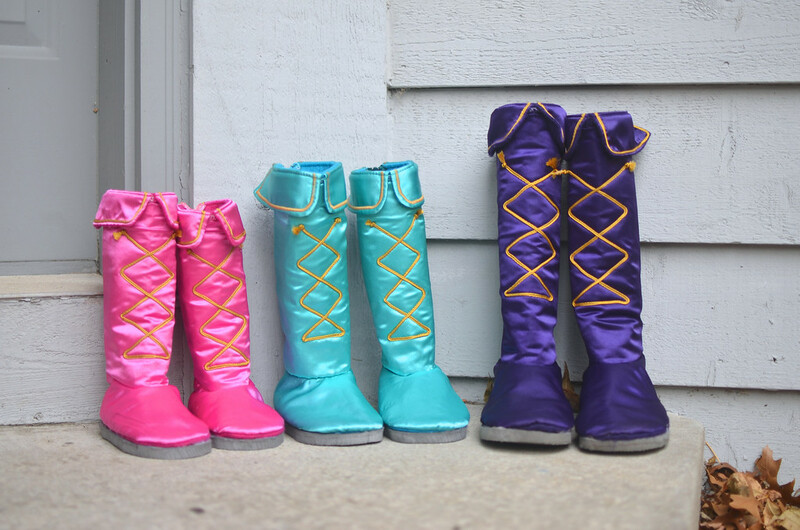 I'm planning to make my son and daughter each a pair of house boots for Christmas and this is just what I was looking for! Is there a way to show you the finished boots? I used your ballet shoe pattern to make two pairs for my grand daughter's dress up box in satin to match the Elsa and Aurora costume I made for her for Christmas. 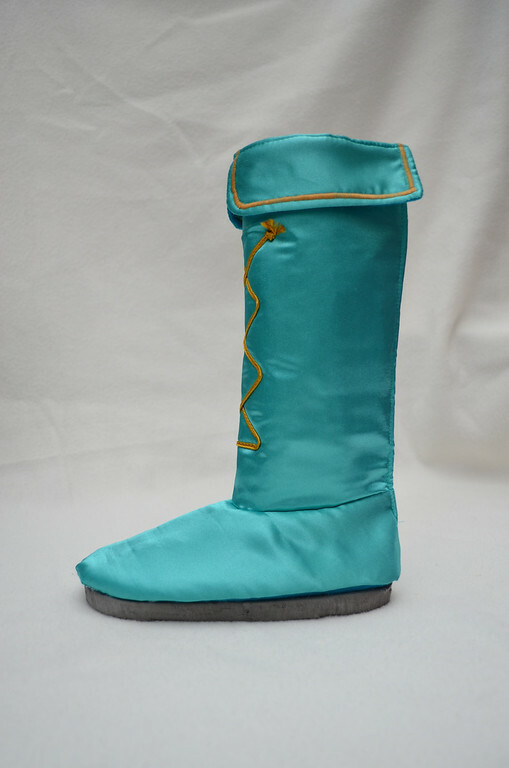 Now she wants an Anna costume, so I will make these for Anna's boots. Thanks so much for sharing this I really didn't want to make duct tape ones!